Police say a million people have turned out for a protest rally in Grozny, the capital of Russia’s Chechen republic, to protest the violence in Myanmar, where government security troops are conducting a large-scale crackdown on the Muslim Rohingya minority. 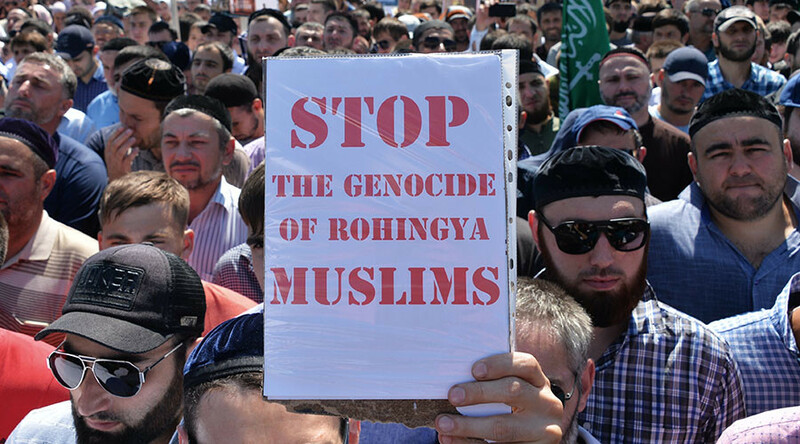 The rally supporting the Rohingya was held on Monday in the predominantly Muslim part of Russia. Footage of the event showed tens of thousands of protesters flooding a square in front of the city’s main mosque, as Chechen officials and community leaders spoke to the crowd from a stage. Among the speakers was Chechen President Ramzan Kadyrov, who through his Instagram page had earlier asked his supporters to support the Myanmar minority consisting of fellow Muslims. He also blasted world leaders for a failure to condemn what he called the “elimination” of the Rohingya from their home state of Rakhine. 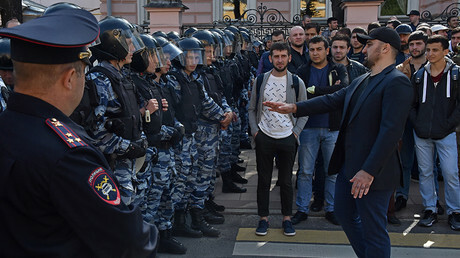 Earlier on Sunday the Muslim community of Moscow staged a similar protest in front of the Myanmar embassy. At least 800 people took part in the event, according to media estimates. The violence in Myanmar flared up again in late August. Rohingya insurgent attacks on an army base and the response of security troops resulted in at least 400 deaths. The Myanmar government accused their opponents of burning down homes and killing civilians, but human rights activists blame government forces for these incidents, as part of a campaign intended to force the Rohingya out of Rakhine. An estimated 90,000 Rohingya have fled the violence across the border with Bangladesh, putting a strain on that country’s resources. There are some 1.1 million people belonging to the ethno-religious minority living in Myanmar, and they have been persecuted by the government of the predominantly Buddhist Asian nation for decades. Nobel Prize winner Aung San Suu Kyi, described as a “democracy icon” and Myanmar’s “best hope” in the Western media, has failed to put an end to the persecution of the Rohingya since becoming the country’s State Counsellor in April 2016. Critics say Suu Kyi fuelled the conflict by inciting anti-Rohingya sentiment and tarnishing humanitarian aid workers on her Facebook page. Among the critics of the violence in Myanmar is Pope Francis, who lamented “the persecution of the religious minority of our Rohingya brothers” after the latest flare-up. Myanmar invited the Pope to pay a first-ever visit to the nation in November.